Waldur is a multi-tenant platform aimed at central operators for simplifying the provision and management of various cloud services in organizations. It offers resource governance and oversight to the service providers and intuitive convenient self-service to the end-users. Waldur is a feature-rich brokerage platform for creating one-stop-shop solutions for IT services. It is aimed at IaaS providers, public sector and larger enterprises. 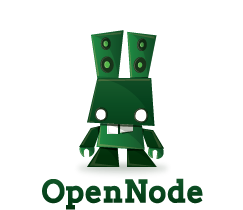 Developed by OpenNode, it is used as a government cloud solution in Estonia and Oman. Waldur supports the full-lifecycle management of private and public cloud services, project and team management. Waldur offers fine-grained accounting information and integrates with billing and customer-support solutions in order to provide a truly holistic experience. Provide your customers with streamlined self-service portals for easy cloud resource lifecycle management and for achieving better end-to-end visibility. Allows your customers to invite people into project teams and to delegate resource management within project workspaces, using simple role-based access controls. Publish high-level Service Provider APIs to your customers, enabling programmatic Service Store access and resource lifecycle management. Service Providers. Creation of white-labelled Service Store / Marketplace solutions, for cloud applications and infrastructure sales automation. Waldur can be used to add value to (re)sellable resources and services. Public Sector. Creation of state-of-the-art national or regional hybrid cloud providers, tailored for public sector budget planning and service delivery. Waldur can be used to seamlessly create an entire ecosystem of private and public stakeholders. Enterprises. Consolidation of in-house and external cloud resources, exposed to internal “customers” through a convenient self-service environment. Waldur can be used to increase efficiency and to ensure better end-to-end visibility.